On August 1, 2017, an immigration bill was introduced which would significantly cut legal immigration. The bill is called the RAISE Act and it stands for Reforming American Immigration for a Strong Economy Act. Although the bill has President Trump’s support, it does not have the support of all the Republicans and so is not likely to move forward. Interestingly, the Bill would have pretty impactful consequences on the investor visa, EB-5, as well as other employment based visas. 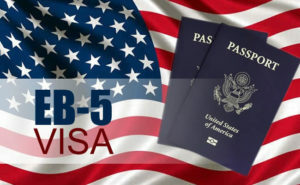 The new system would involve a point system that would require applicants to have 30 points or higher in order to immigrate to the U.S. Investors such as the ones that were previously interested in the EB-5 program would still receive points for their investments, but the significance of those investments would now be greatly reduced. Investors would get 6 points if they invest $1.35 million in a US new commercial enterprise, and 12 points if they invest $1.8 million in a US new commercial enterprise. The difference here, besides the significant increase in investment amount, is that investors would now need to “actively manage the commercial enterprise as their primary occupation.” This means that all previously relied upon “Regional Centers” would now become more or less obsolete, as the investors would now need to be directly involved in the investment opportunity. One of the key factors contributing to the EB-5 program’s growth as a significant source of development capital is the minimal management requirement. Investors were not required to have an active management role within any of the regional centers with whom they invested in. As such, an active management requirement would significantly restrict the EB-5 program’s usefulness by limiting the program strictly to entrepreneurs as opposed to primary investors. Again, the bill is not likely to move forward, but if it were to be successful, total immigration would likely be reduced, but illegal immigration would probably rise, likely making the economy suffer once more. If you have any questions about this newly proposed immigration bill and how it might affect you, or any other immigration related questions, please feel free to call Buda Law Group any time. Will the H1B Lottery System Finally Be Removed?